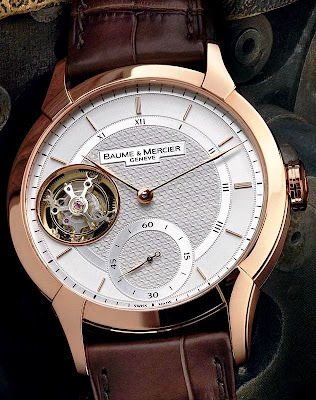 The first tourbillon to be offered by Baume & Mercier. Numbered edition of 10, the William Baume Tourbillon comes in 18-carat red gold in 43mm wide with a manually-wound movement, WB-T002. 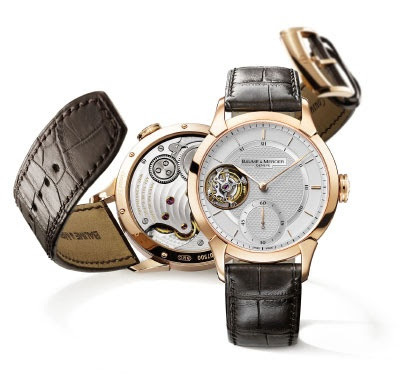 The watch features a quite unusual placement of the tourbillon aperture at 9 o’clock. It is elegant and beautiful.